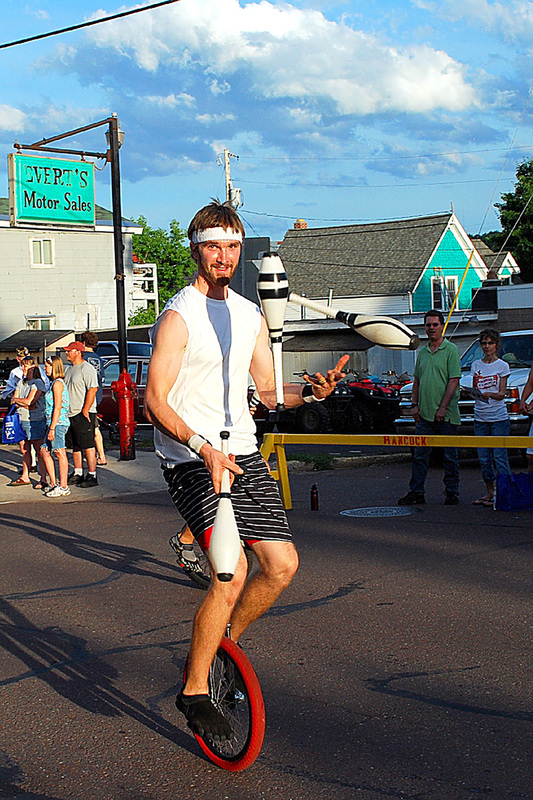 The 23rd Annual Bridgefest Celebration in Hancock and Houghton was held June 18-20, and included a number of events. 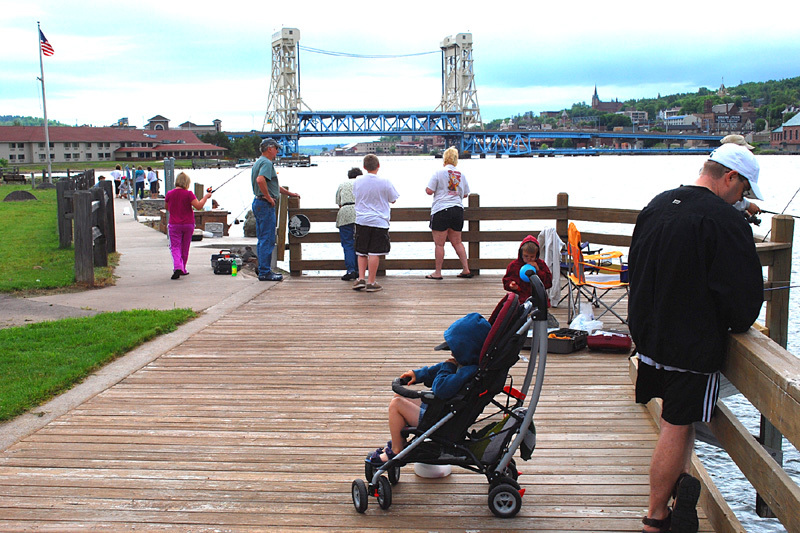 Constructed in 1958 & 1959, the Portage Lake Lift Bridge opened to traffic in October, 1959, with the the 50th Anniversary being celebrated this year. 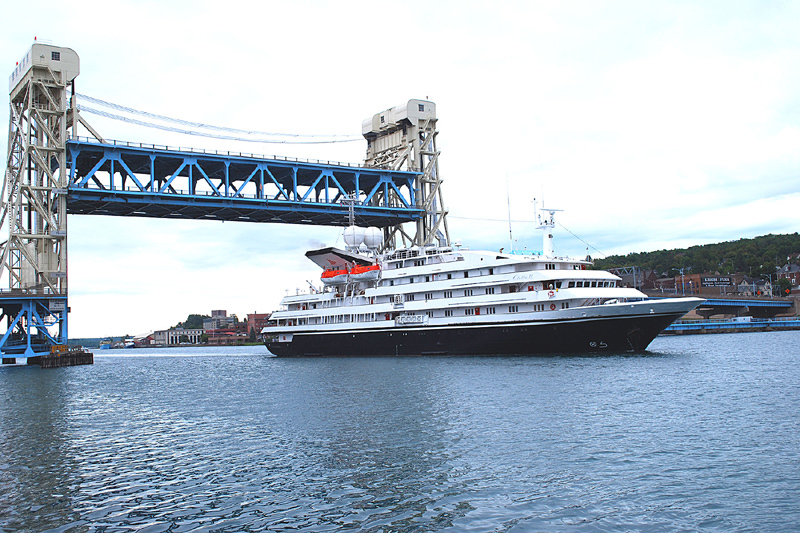 Here, the cruise ship Clelia II, of Toronto, Canada, makes a port call in Hancock/Houghton last summer. 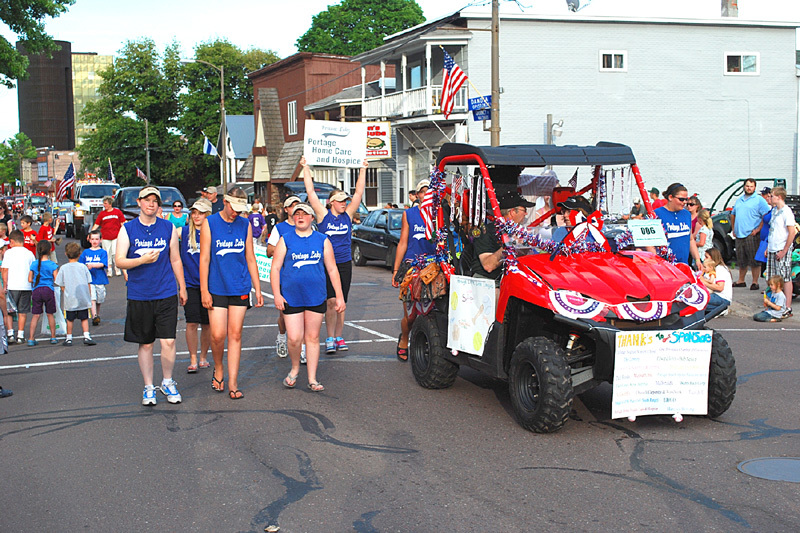 The Annual Parade was held Friday evening. 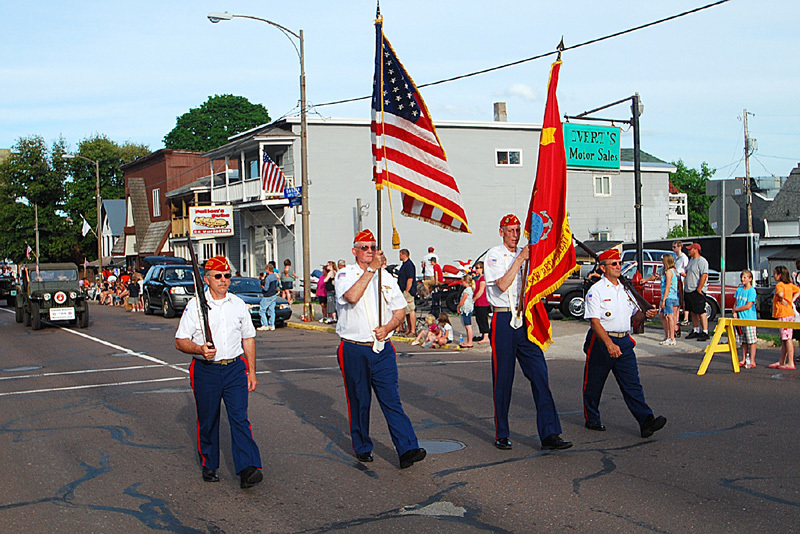 The Color Guard this year was provided by the Keweenaw Detachment 1016, Marine Corps League. 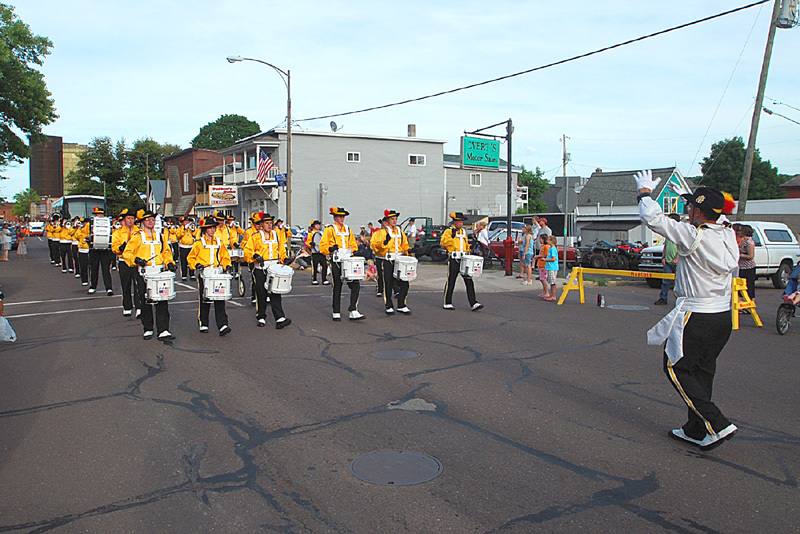 Marty’s Goldenaires Drum and Bugle Corps of Bessemer, MI. 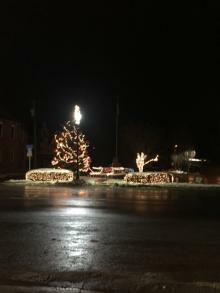 “Make New Friends, Keep The Old; Some Are Silver, and Others Are Gold.” – Cypress Manor Nursing Home, Hancock, MI. 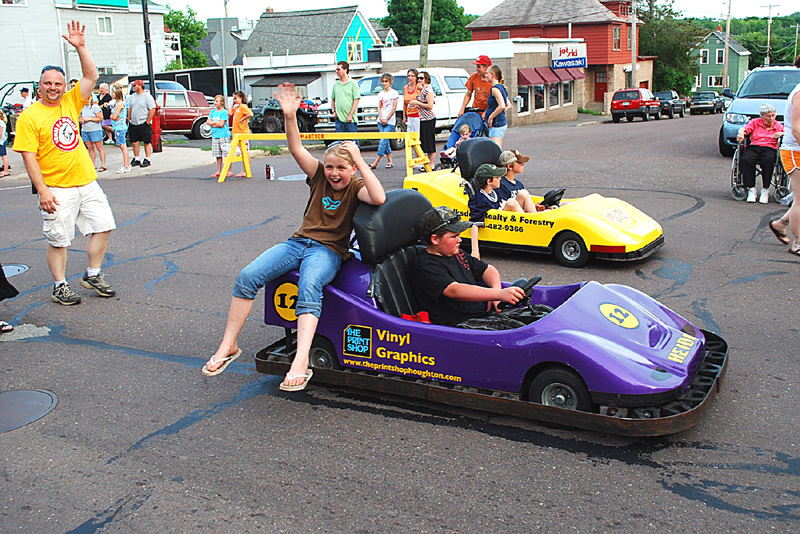 Youngsters enjoy the miniature autos. 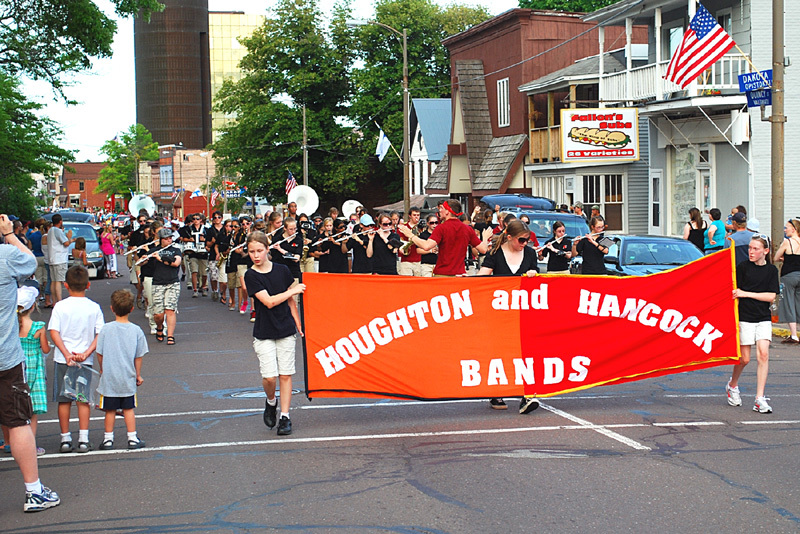 A combined Hancock & Houghton High School Marching Band, a first time ever! 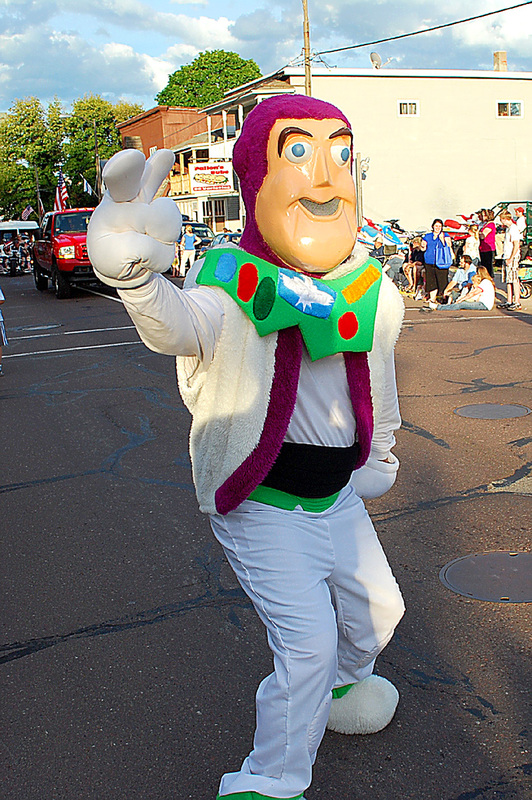 Not afraid to ‘High Five’ this costumed figure. 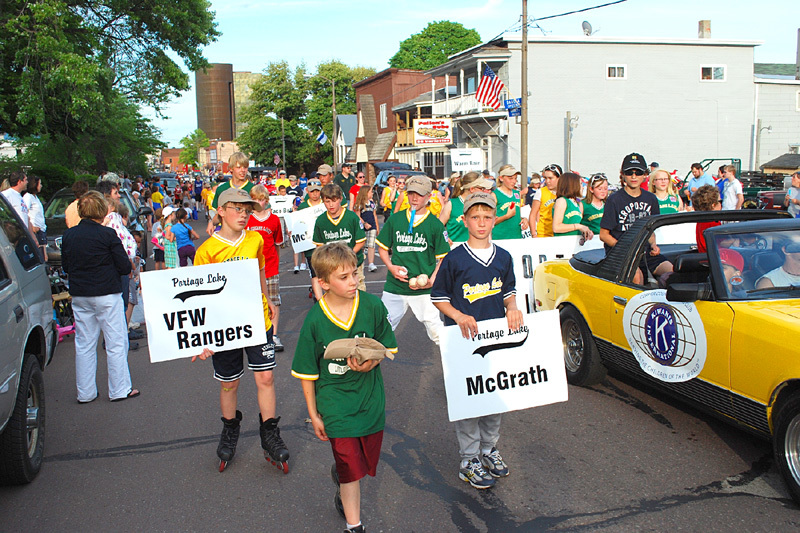 The Portage Lake VFW Rangers Little League Team. A Portage Health Care & Hospice delegation. 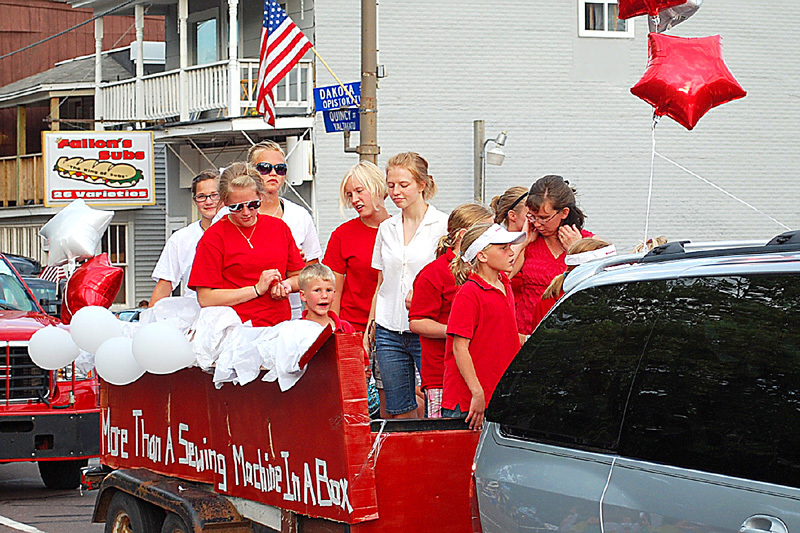 ‘A Sewing Machine In A Box’, says the slogan. 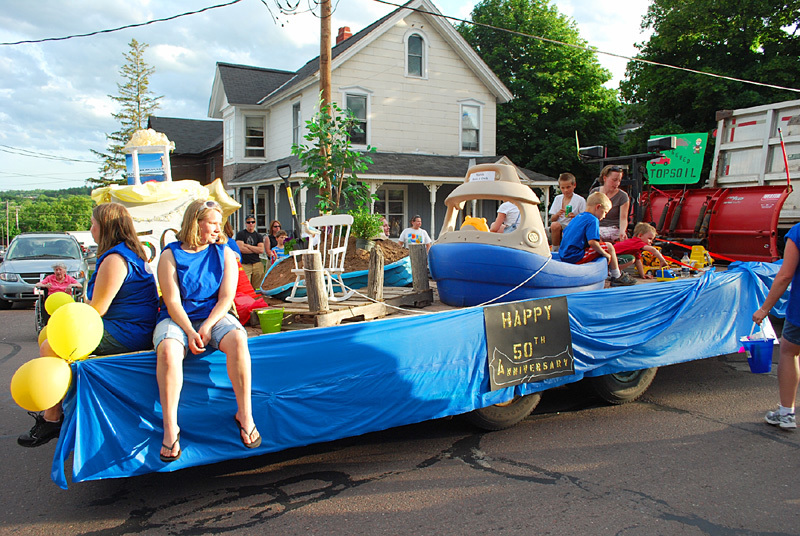 A float in honor of the Bridge’s 50 years of service. 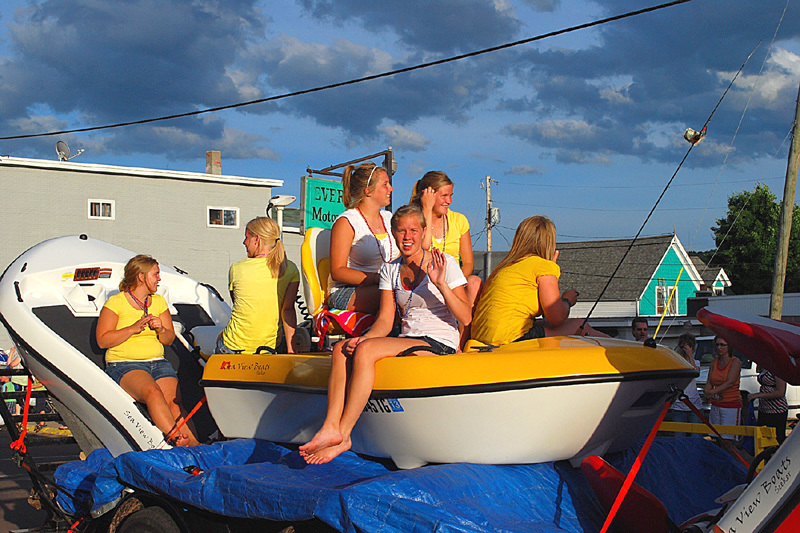 Always ready for beach or boating, these gals. 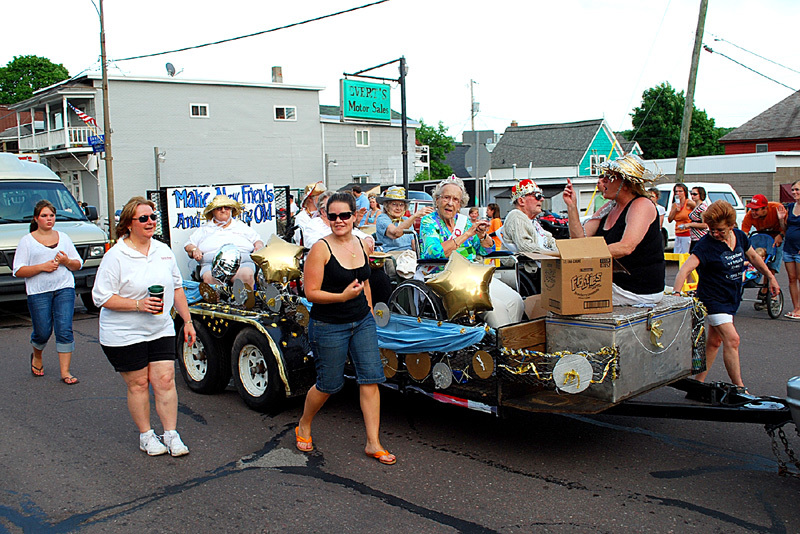 The Unsinkable Red Hatters – the Ladies don’t say what they’re fishing for. Hello there! Riding a unicycle is tough enough, but this fellow keeps three bowling pins in the air at the same time. 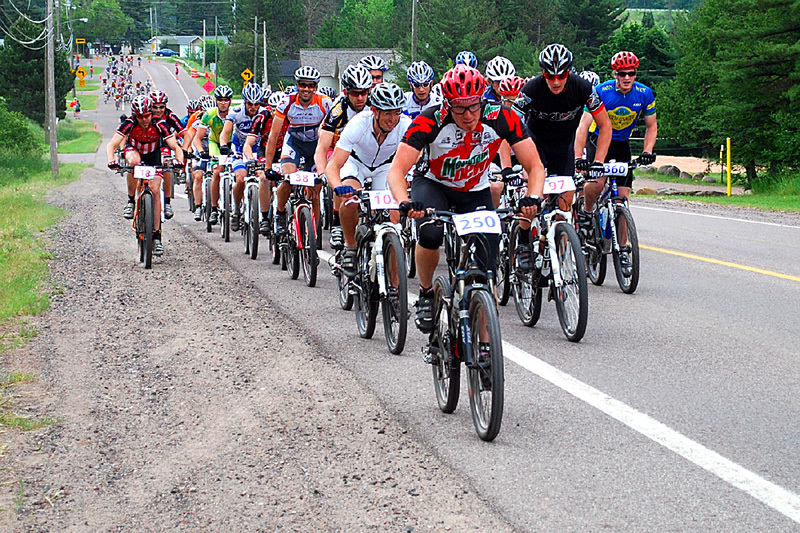 Saturday brought other activities – the Keweenaw Chain Drive Bike Race, 16 or 32 miles of challenging trails, including Swedetown Gorge, here the 400 entries are on M203, Hancock Canal Rd., approaching the steep turnoff to Cemetery Hill and Swedetown Gorge. 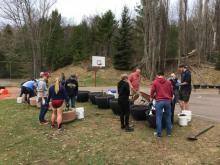 Also on tap was the Keweenaw Children’s Fishing Derby at Porvoo Park. 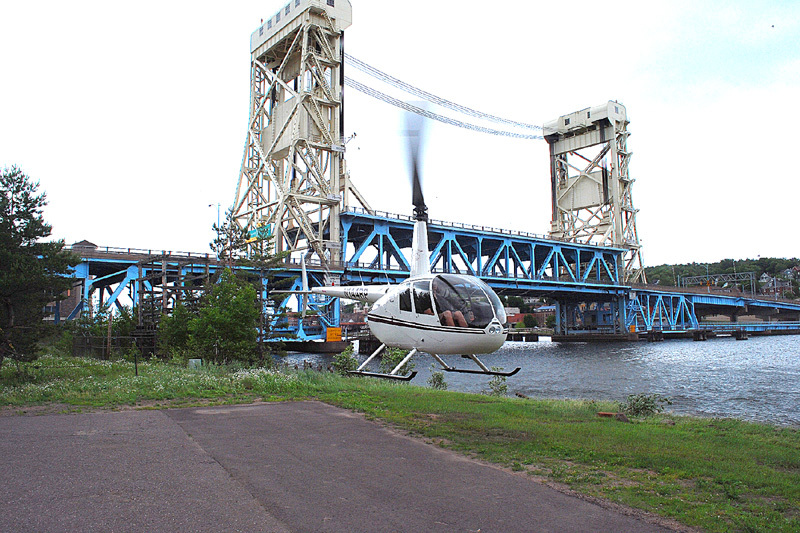 And another look at the Portage Lake Lift Bridge. 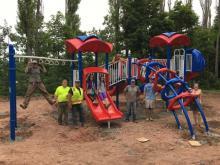 (See link at bottom for more info). New this year were helicopter rides all weekend, by Lake Superior Aviation, seen landing at the Hancock Ramada Inn. 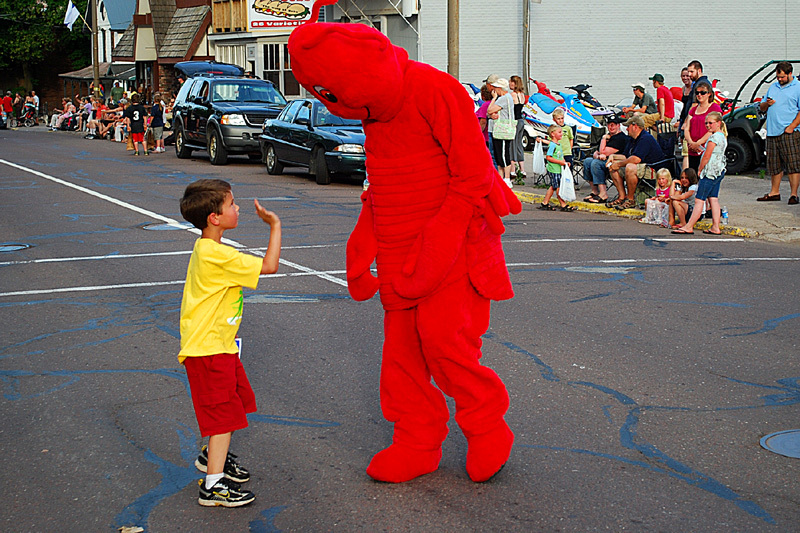 A big part of Bridgefest, is the Annual Seafood Fest at Houghton’s Kestner Park, put on by the Houghton Rotary Club. 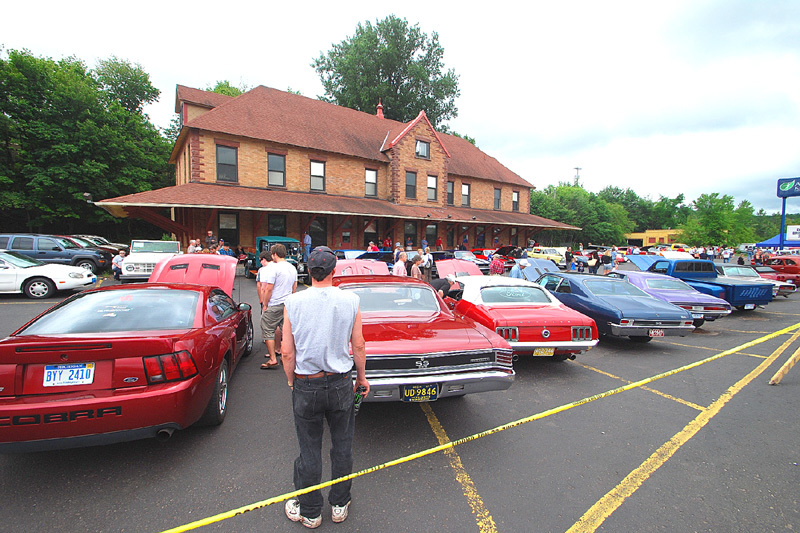 Also this year, again, the Classic Car Auto Show. 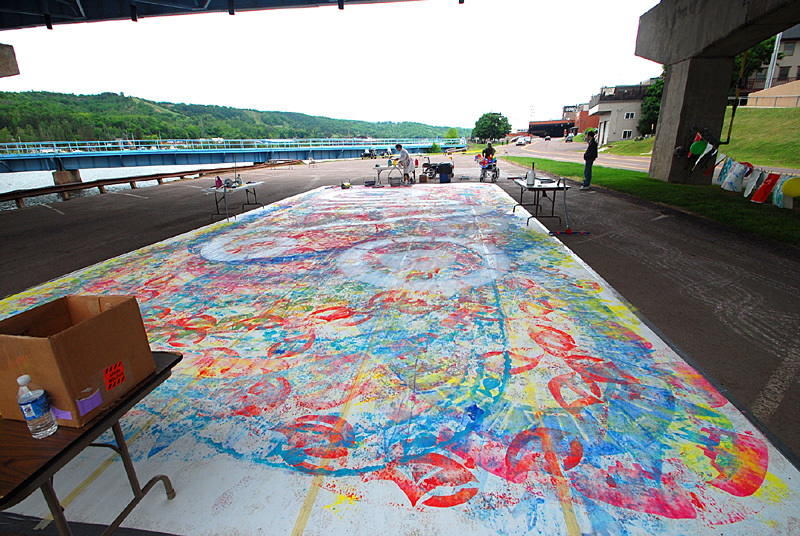 Come and Paint – aspiring artists are welcome to take a turn on the huge ‘Art Under the Bridge’ canvas. 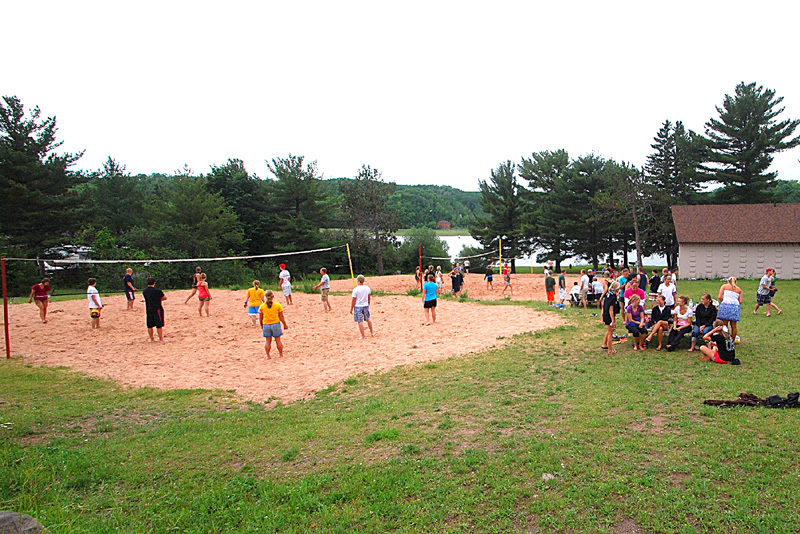 The Annual Volley Ball Tournament was held at the Hancock Recreation Courts, all three courts were kept busy throughout the weekend. 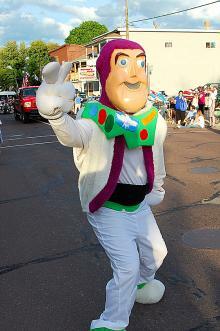 And on Sunday, the 4th Annual M.T.U. 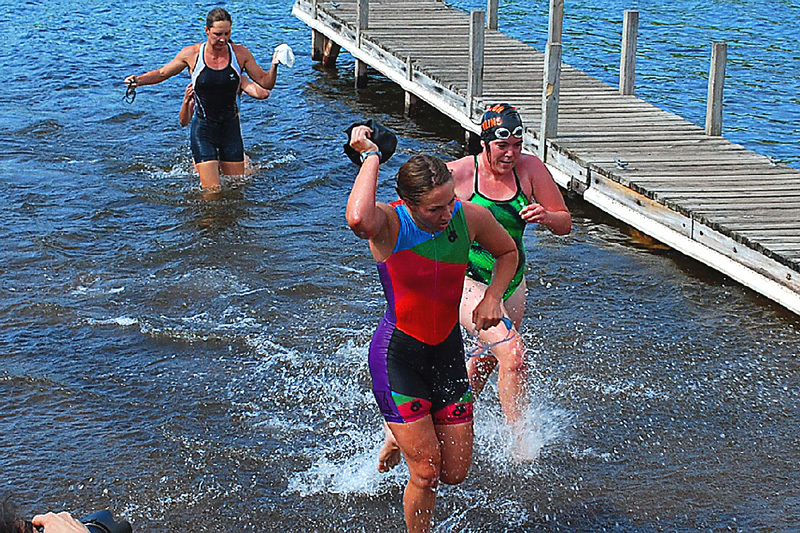 10-S (Tennis) Triathalon was held at the Hancock City Campground Boat Launch area. These gals have just finished the first swim leg of the event. 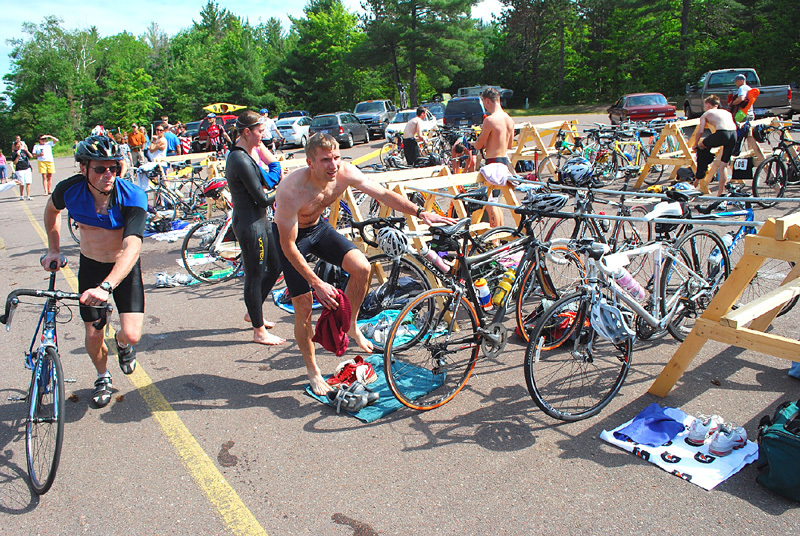 Next was the biking portion, which was then followed by the running event. 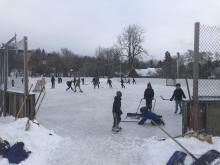 (Info and results are available via the link at the bottom). 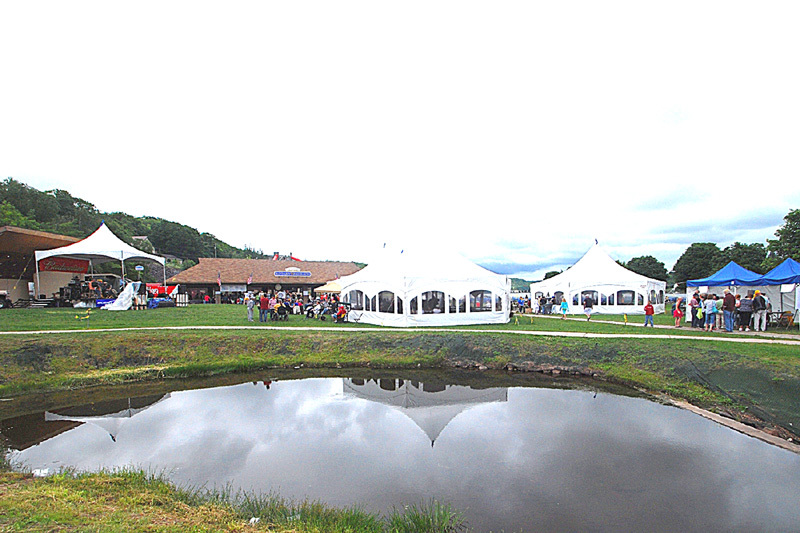 Join us in 2011 for Bridgefest.